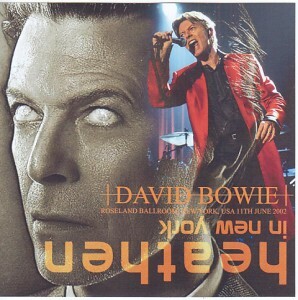 Extremely rare even in Bowie all history, it is appeared audience album of “album full reproduction live”. 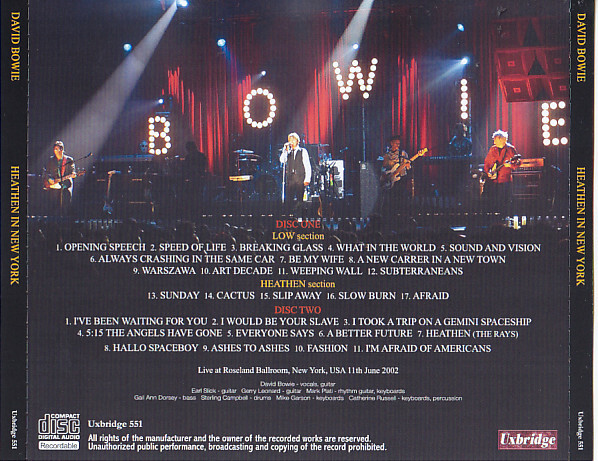 At one time, but live a variety of bands to fully reproduce the past of the masterpiece album became popular, the Bowie went in 2002 to be even and its forerunner. Reproduction of the album is a masterpiece, “LOW”, was the latest of the time “HEATHEN”. Such the rare live has been realized, “New York performances June 11, 2002”. 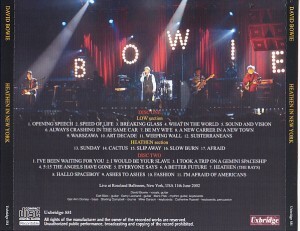 In the show for the warm-up of “HEATHEN TOUR 2002”, the audience was a member a member of his official site “BowieNet”. This in the next few years “album reproduce live” it is not became Barker, but this time is still experimental attempt. Bowie also, precisely because there was a conviction that will love you, Will was able daring adventure. In fact, thrilled that happened to be a special live also on the scene feeling to be felt in this work, it has been full of warmth that truly love him. This work was achieved such a very unusual concert, it sounds great! Also reach straight up where the clear musical tone and voice, the core is also thick. Although mild feeling is, it is not a blur of the musical tone, of one single musical instrument 1 “sound” is none other than to because warm. It also suggests intense enthusiasm you are witnessing a historic live, but its large cheer profusely far, not been only on the underlying performance. Only sense of scale is I have been caught profusely delicious. There are on the other the last 14 years of recording, but also in modern latest digital equipment, it is not early is beautifully recorded so far. No fact, you highest to the Great a live album even without such rarity value. 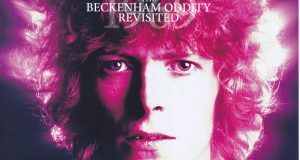 Adventure of such warmth of sound, the challenge is Bowie wrapped in cheers “album reproduction”. “Mind you but be a long show tonight?” And Bowie appeared at the beginning and talk to the audience in the friendly, introduce the members. And, “I play the two albums. First of all,” LOW “but” Ya says, a large cheer at intervals of instant explosion. Very different atmosphere from the usual live, sounds to dissect the surprise of the field of “Speed ​​Of Life” intro! Even in the 1970s without such as that was completely reproduce the “LOW”, this day for the first time of challenge. In fact, songs live for even after this “LOW” has been done, “London June 29, 2002”, “July 12, 2002 Cologne (Germany),” “18 July 2002 Montreux (Switzerland)” It was achieved even “September 22, 2002 in Berlin (Germany).” However, even while playing the album songs in their concert, have changed the song order, the opening was “Warszawa”. Exactly was a “complete reproduction” This is the only New York. This shock, “Speed ​​Of Life” flows out moment of excitement is the such this day only ones. While the stage is supported in the frenzy of “amazing thing is happening”, in the play it seems to warm up, is the feeling that gradually warmed up in the tension. Such Uiuishi is not only a player, it was also on the staff. Apparently failure in the power supply in the “Warszawa” has occurred, it would stop playing in the intro. Not panic is Bowie also in such trouble, “I’m sorry. But I’m did not happen this kind of thing since the time in 1976 was a wooden amplifier. Electric hate it because it’s” hilarious to say. Of course, it exerts and then to re-partition complete. Just once, though valuable, even only to reproduce completely up to song order, trouble precisely because this raw, outrageous’s the rare scene taste even professionalism and humor of Bowie lust at that time. Immediately after reproduce the masterpiece “LOW” with no intervening any other song from the beginning, and then rush to complete reproduction of the latest work “HEATHEN” in rapid succession. In fact, this live has been done, “11 June” is what Release Date of “HEATHEN”. It is why you practice all the show off to the day. And say “album completely reproduce live”, but most bands to attract customers in the name record popularity, essentially experimental challenge in the case of Bowie. 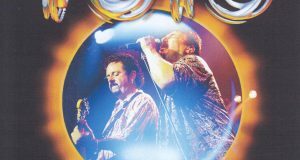 In fact, the songs live in the “LOW” is was carried out several times even after this, “HEATHEN” songs live, this day as the only two times of “London June 29, 2002”. The performance-singing voice of this work, mettle to challenge, satisfaction for the new work, confidence in the “BowieNet” members are jammed plenty. And, before such a Bowie, the audience to welcome warmly new song group. 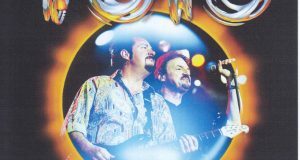 While mutual affection is sympathetic,’s the live going stacked songs in a historic moment. Then, after the large experiment, Enjoy encore. “Hallo Spaceboy” in “OUTSIDE”, “Ashes To Ashes”, “Fashion” in “SCARY MONSTERS”, “I’m Afraid Of Americans” of the “EARTHLING” will showcase at one stretch. Historic attempt to play even a relaxed drifting sense of relief having been subjected to, greatly swollen audience. Also chanting that float in the small entered the cheers is the emotional scene. Bowie was Mise fully reproduced masterpiece as the “LOW” and “HEATHEN” the launch date of the new work. Even more than its experimental spirit, even love is dear live album warmth of the audience to support it. Just history in spite of the concert of miracle overnight was only, that even preciousness about which is likely forget seeing eyes beautiful masterpiece that was completely sealed with a sound. This valuable and beautiful and impressive one. By all means, you too.